Tompkins Consolidated Area Transit, Inc., is pleased to announced its service information is now available in Google Maps. Meantime, TCAT continues to work to provide Google with accurate departure predictions, which will enable the Google Map function to give customers real-time information. TCAT Service Analyst Tom Clavel has been working with Google Maps for the past several months to provide this service to passengers. Other apps for TCAT information already available include MyStop, Moovit and Transit. 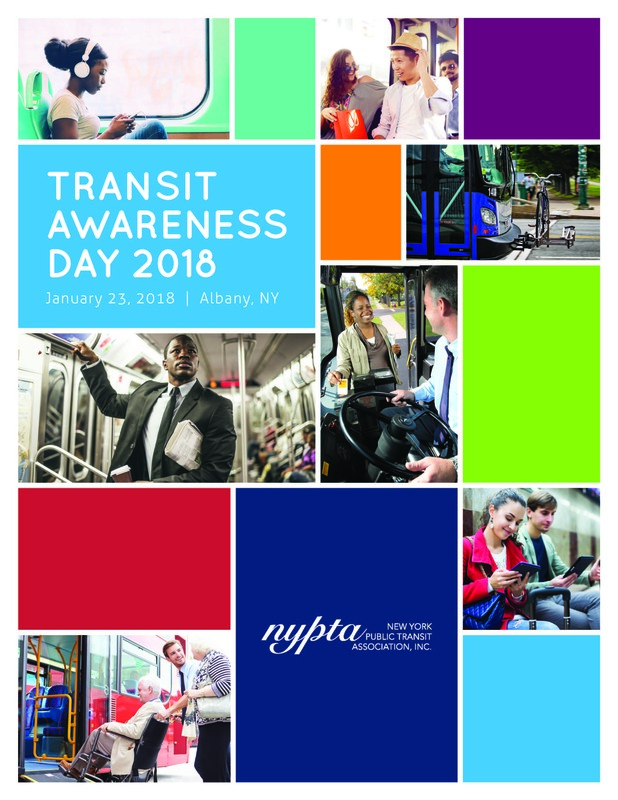 Transit Awareness Day Is Less Than Four Weeks Away! Last week, Governor Andrew M. Cuomo directed the MTA and Port Authority of New York and New Jersey to surge their security presences at all bridges, tunnels, airports and mass transit systems throughout the holiday season in New York City. In light of recent terrorist attacks and out of an abundance of caution, the Governor is deploying special operations teams from the New York State Police and National Guard to work with the Triborough Bridge and Tunnel Authority Police, MTA Police Department, Port Authority Police Department and New York City Police Department in this coordinated effort. Additional personnel and security equipment will be deployed by state agencies, including rapid radiation response trucks, bomb-detecting canines, an increased heavily armed presence, enhanced surveillance and rapid response vehicles at all high-profile locations. On November 17, 2017, Utah became the third state to obtain FTA certification of its State Safety Oversight (SSO) Program in accordance with the requirements of federal public transportation safety law and the SSO final rule, 49 CFR Part 674. Certification demonstrates that an SSO Program has the authority, resources, and expertise necessary to provide safety oversight of the rail transit systems in its State. By April 15, 2019, each eligible state must have an FTA-certified SSO Program or FTA cannot award new federal transit dollars. By law, the deadline cannot be waived or extended. The FTA is provided technical assistance and other support to assist states in meeting the deadline. To track states’ progress, please refer to FTA’s SSO Program Certification Status Table. The Greater Dayton Regional Transit Authority is a step closer to increasing fares for nearly all riders and cutting or altering nearly two dozen routes for others. The agency's finance committee approved the changes Tuesday, pending a vote by the full board next month. RTA officials say the changes are needed to partially absorb a $4.6 million loss of sales tax revenue no longer received from Medicaid managed care, according to the agency. The loss represented more than 6 percent of RTA's revenue.